If you have an air conditioning system, the chances are that you rely on it to keep your home or business cool in the summer and warm in the winter. 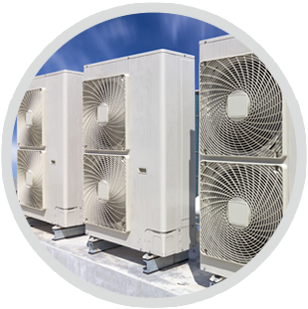 Air conditioners are expensive pieces of equipment and with this is in mind, it’s important to ensure that yours is working efficiently and running costs are as low as possible. 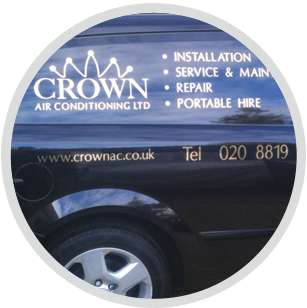 Here at Crown Air Conditioning we offer a range of air conditioning service and maintenance schedules for customers in Chessington and Leatherhead, designed to meet the requirements of everyone from homeowners through to commercial properties, restaurants and bars. Depending on where your air conditioner is located and how often you use it, regular professional maintenance is vital. 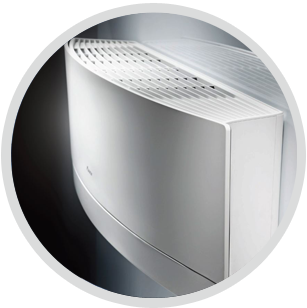 Air conditioners located in restaurants, bars, offices and retail premises, for example will require maintenance several times a year, whilst residential air conditioning systems usually benefit from an annual service. Although there are a few basic maintenance tasks which you can carry out yourself such as replacing the air filter, a full service carried out by a professional engineer will make a real difference to the performance and life of your system. 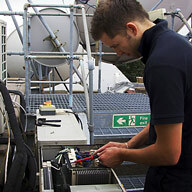 Our trained technicians have the expertise to handle a range of maintenance tasks including the inspection and replacement of parts, cleaning of coils and other moving parts and general safety checks. Increased reliability: systems which are serviced on a regular basis are much less likely to develop faults or break down. Whilst this is beneficial, it can also prove a critical benefit for businesses which rely on their systems such as wine cellars, hospitals and server rooms. A well-maintained system will provide you with peace of mind that your system is working as it should be, helping you avoid stressful breakdowns or costly emergency repairs. Increased energy efficiency: allowing dirt and dust to build up in a system will lead to increased strain on various components, resulting in a higher energy bill. Air conditioners which are serviced on a regular basis are cheaper to run and will retain a higher level of performance for a much longer period of time. Extend the life of your system: the majority of air conditioner systems should last for at least ten years before they need to be replaced. However, failure to maintain a system will result in a reduced lifespan and offer a poor return on your initial investment. We understand that our customers have different requirements and are happy to tailor a maintenance schedule to meet your individual needs. We work with a wide range of clients, from schools, embassies and care homes, through to residential properties, restaurants, bars and offices. Our team of engineers are fully trained and highly experienced and because we work to strict service schedules, you’ll have the reassurance of knowing that your system is serviced with care and professionalism. To find out more or to arrange an appointment, please get in touch by calling 01737 668310.